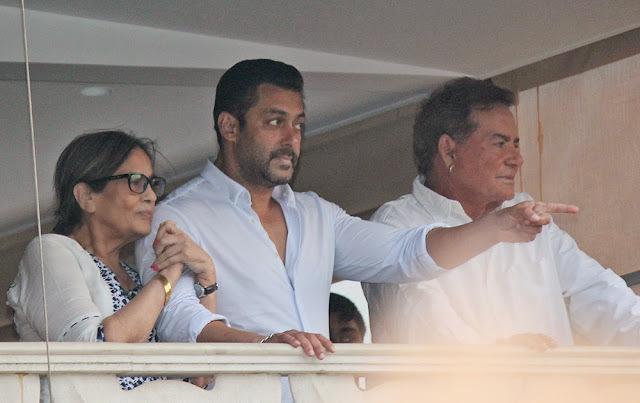 There has been much ink spilled over Salman Khan’s recent conviction for drunk driving. Mr. Khan is one of Bollywood’s biggest, most bankable stars and as a result this news has dominated the Indian media landscape for the last few days. Mr. Khan’s recent sentencing to five years in prison has usurped coverage from Narendra Modi, the Indian Premier League and the Nepal earthquake, all subjects that now seem a distant memory in the daily Indian psyche. It seems there was an expectation amongst the wealthy elite of the country that this trial would result in a suspended sentence, or perhaps a few years of community service along with a large fine. Much like nothing happened to Sanjeev Nanda, the son of a wealthy industrialist, who killed six people (including three police officers). Or Puru Raj Kumar, the son of a big Bollywood star, who ran over and killed several pavement dwellers, and was never charged. Like the rest of the third world, India too has a rich and un-illustrious history of a dual justice system, one for those who have the means to buy it and the other for the rest of us, who must languish and suffer within it. The outrage in India was two-fold. The powerful elite were clearly outraged that a lowly session’s court judge had the audacity to sentence one of theirs. The entire Bollywood fraternity came out unabashedly in support of a man who has blood on his hands, the same fraternity that has stayed notoriously silent on virtually every other important social issue from defending free speech to violence against women. A younger, less erudite and less PR savvy Bollywood group even took to social media blaming the pavement dwellers for putting themselves in harm’s way. One famous Bollywood singer even equated pavement dwellers with dogs. There was an unsurprising wave of sympathy from die-hard fans of Mr. Khan, a group that would no doubt proclaim his innocence even if any of them had been sitting in the passenger car seat next to Mr. Khan on that fateful night thirteen years ago. One fan drank poison in front of the courthouse in a suicide bid, unable to handle the news of his idol's upcoming rigorous imprisonment. None of this was surprising; one expected both constituencies to play out their scripts and public dialogue in the manner that they did. However, what was surprising is the reaction of a number of educated, middle class people in India. Many of these people came out in support of Mr. Khan, vehemently protesting his conviction. Their arguments ranged from saying it was grossly unfair to single out Mr. Khan, since no other rich person has had to serve time for the same offence. Some simply said that he was a good man who had done a great deal of charity work, helping many people over the years, and therefore should not be treated like a common criminal. Yet others argued that he was being convicted merely based on his celebrity status and not on the value of the irrefutable evidence against him. This despite the fact that the judge stated in his ruling that “the prosecution had established beyond doubt that the accused was driving the vehicle at the time of mishap.” (Source: Livemint article). What is frightening about this middle class defence is that it supports and reinforces the notion that it is fine to have two distinct rules of law - one for the haves, and one for the have not’s. Importantly, it also ignores the fact that had Mr. Khan been an ordinary citizen, like you or me, he would not have been able to avoid being in police custody or to drag out his trial over thirteen years. During this time his people were able to buy off and coerce witnesses, turning them hostile and getting them to change or withdraw testimony. One key witness who refused to acquiesce was a police constable who was in the car with Mr. Khan at the time of the accident. Instead of being provided witness protection, he was fired from the police force and thrown into prison after he claimed that he was frightened for his life for refusing to change his statement. His family was most likely also paid off, as they proceeded to also disown him. The man was driven to living on the streets and finally died a pauper, of tuberculosis, in some nameless government hospital. What is at issue here is not making an example of Mr. Khan, but allowing people like him to make a mockery of our judicial system. My heart goes out to Mr. Khan, his family and to all the other families involved in this tragic and avoidable accident. I don't doubt that Mr. Khan has done a lot of good with his charity work and has a large heart but none of this changes the fact that, according to our laws, he committed a crime. If we want to be a global power, the rule of law must be sacrosanct and justice must be blind. This is a fundamental bedrock of any a civilised democracy. What a tragedy! Does money just bury one's consciousness? What is wrong with the human race? May God help us all!